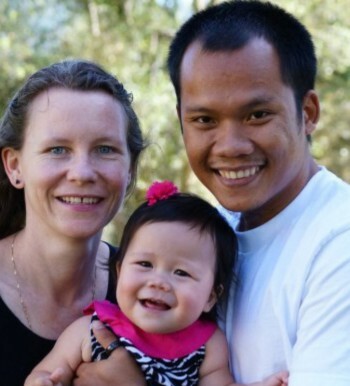 Ayra and Nal Nhoemvan serve with Pioneers in Cambodia. “Currently we are on a church-planting team in Chambok, a rural district in eastern Cambodia where there are no known believers. We moved to this area in the summer of 2013. As a team we pray together daily to ask God to reach the lost here in Chambok. We are developing relationships and trust in the community through teaching English, tutoring in math/physics, spending time in homes, visiting villages to teach on simple health issues, etc. As we meet and talk with people we try to find those who are interested in spiritual things and get them involved in an outreach Bible study. Our prayer is that we can help prepare the soil for the Cambodian church to come along and reap the harvest as it is spreading throughout Cambodia quickly.